And this was great to see, also at Khao Soi Dao. 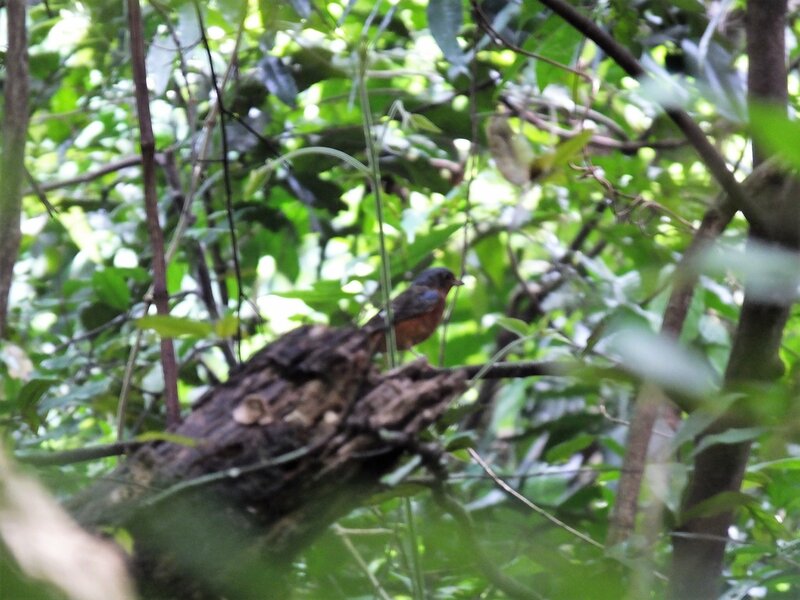 White-throated Rock-Thrush (male). Uncommon winter visitor. 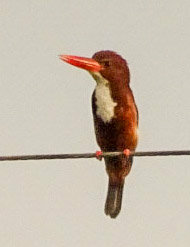 Only the second I have seen in ten years of birding, the first in Surin in March of 2011, also a male. Not yard but on my regular circuit here in Bangsaen. 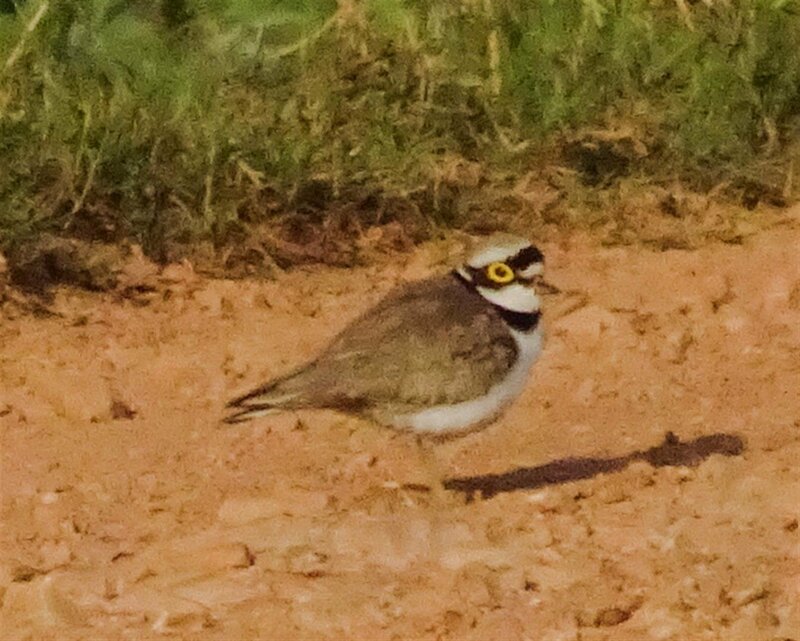 Thought Two-barred at first, but have settled on Yellow-browed (Inornate). 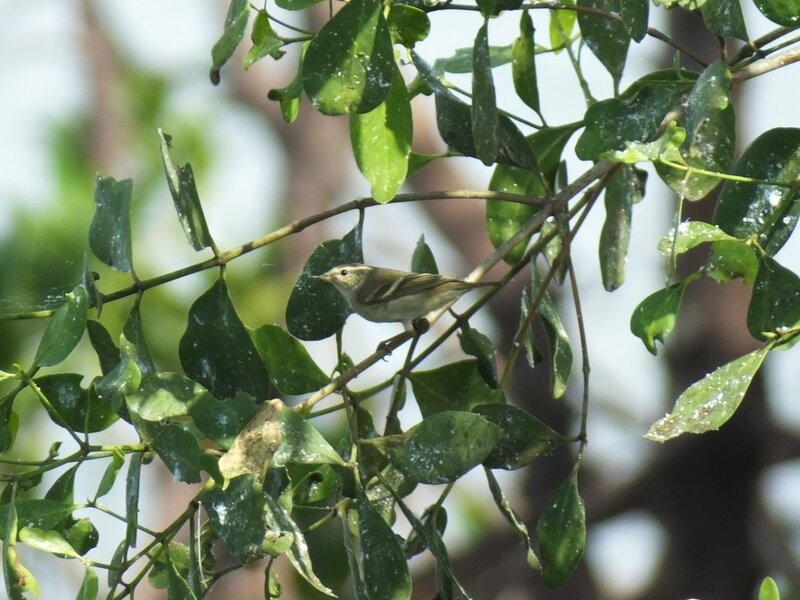 Sorting warblers is a difficult task. 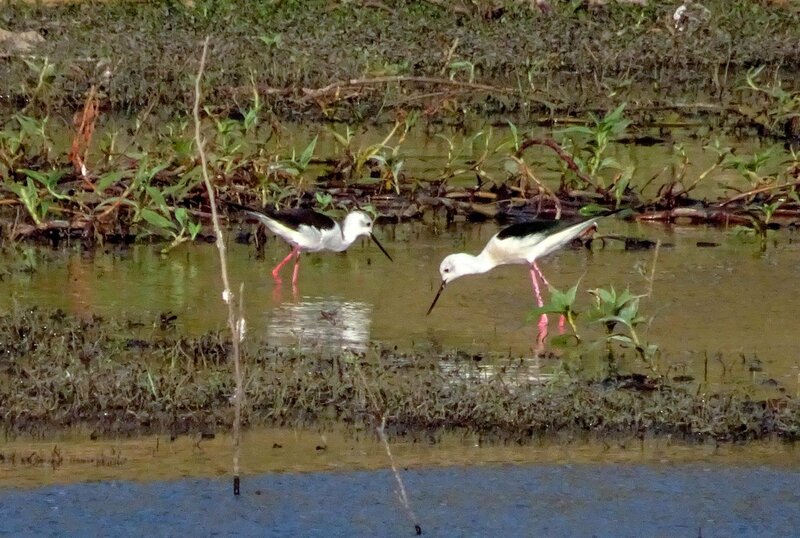 I don't usually travel for birds, but had some time off and decided to visit Laem Pak Bia - Pak Thale to see, one hopes, the Spoon-billed Sandpiper, as well as a number of other species here I have never seen. 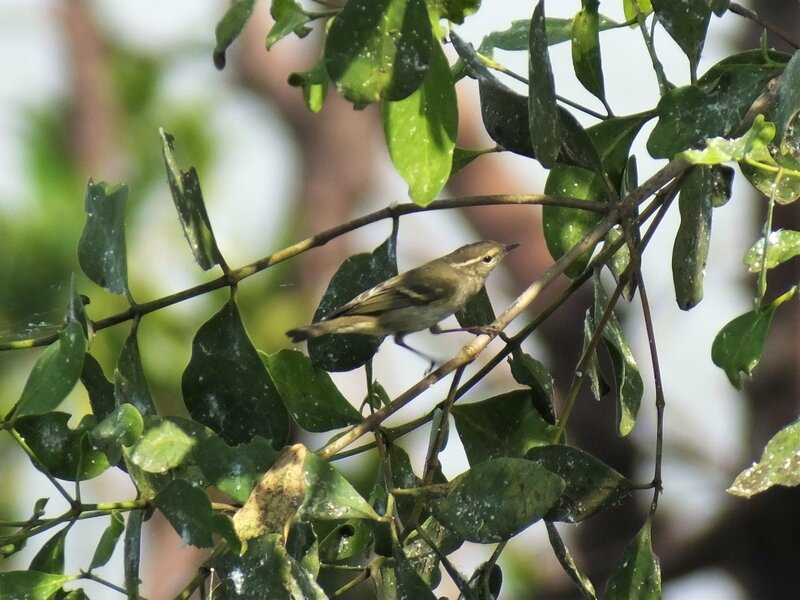 Arrived in Pak Thale with 90 mins of sunlight left and clocked three species new to me. Ruddy Shelduck (rare winter visitor) , Caspian Tern, Broad-billed Sandpiper. Looking forward to tomorrow. 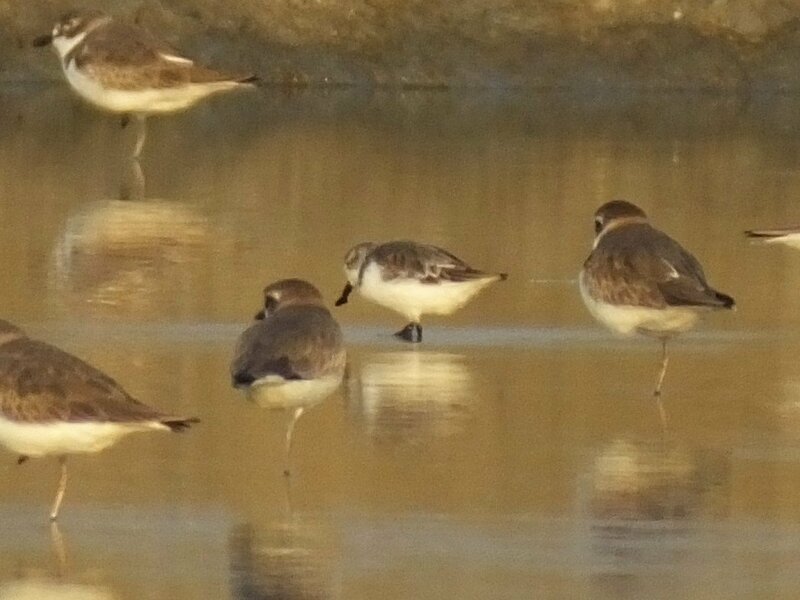 Got the target species - Spoon-billed Sandpiper - morning and evening of 22 December. 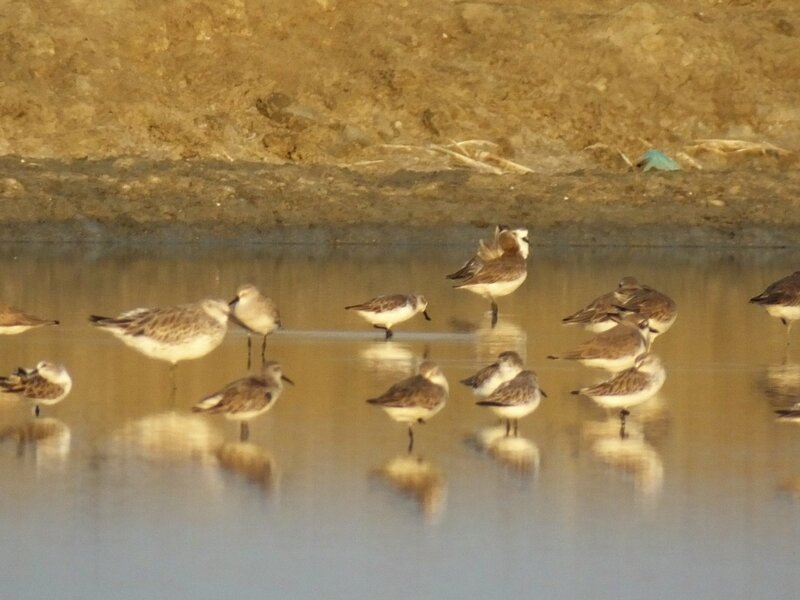 You need a lot of patience, a spotting scope or someone with a scope, and it helps if there is a friendly guide nearby happy to point out the bird and allow you to view it through his scope even though you are not part of his group or don't have any guide your self. So thanks to Mr. Joy for the help. Yard bird of the day. 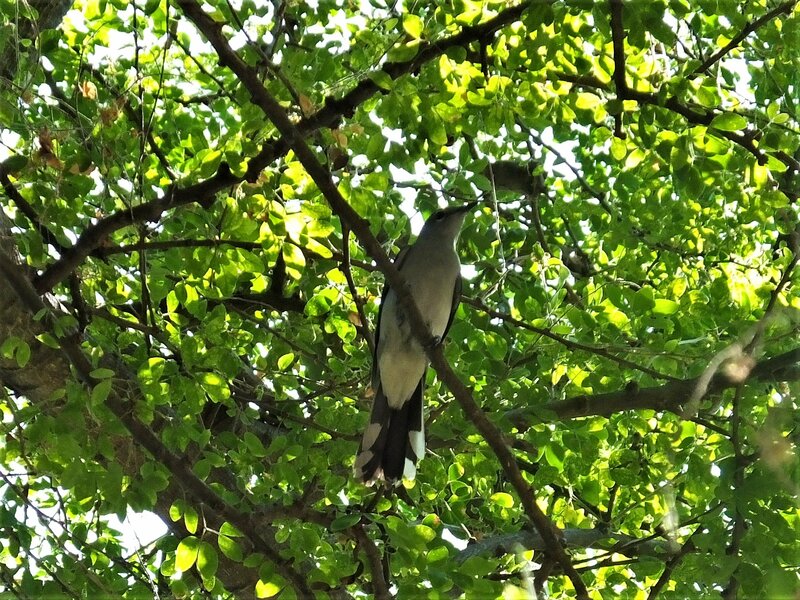 Black-winged Cuckooshrike. Bangsaen, Chonburi. 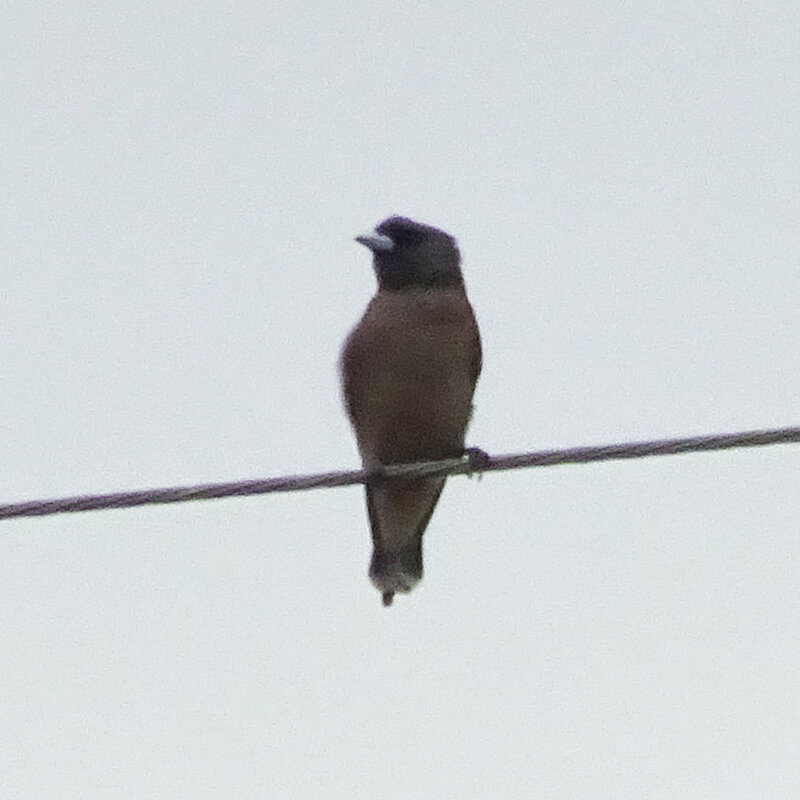 Resident in north Thailand but winter visitor to central. 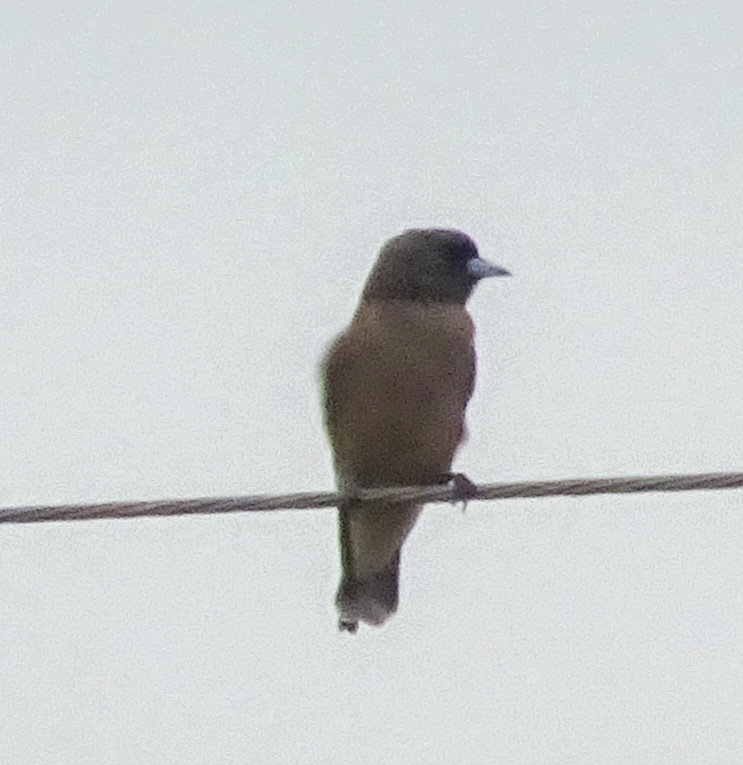 I get a few sightings a year, and nearly always from my yard. 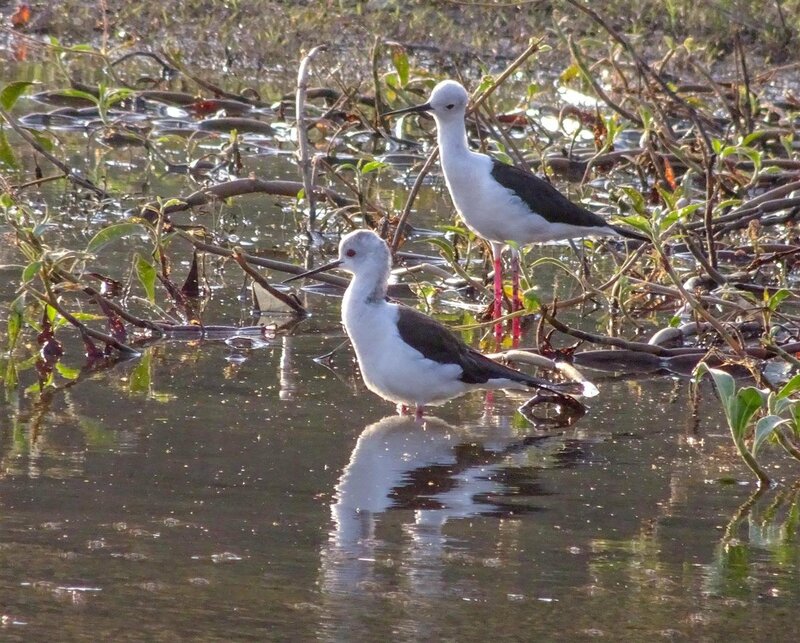 Black-winged Stilts, Little Ringed Plover, Red-wattled Lapwing. Nong Prue, Kanchanaburi. 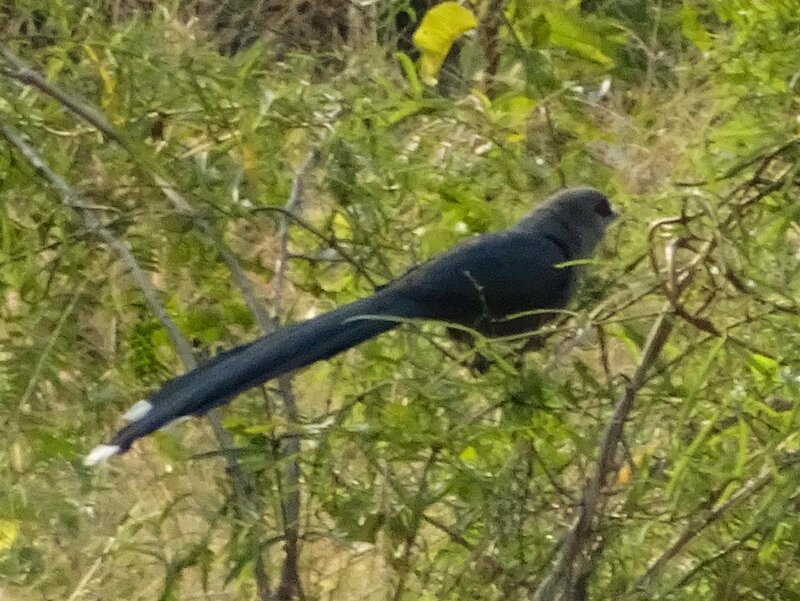 Green-billed Malkoha & Ashy Woodswallow, Nong Prue, Kanchanaburi. 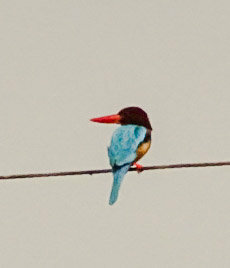 Got profile snaps of White-throated Kingfisher to go with the front and back views above. I haven't had time to post for a while, hopefully that will change. 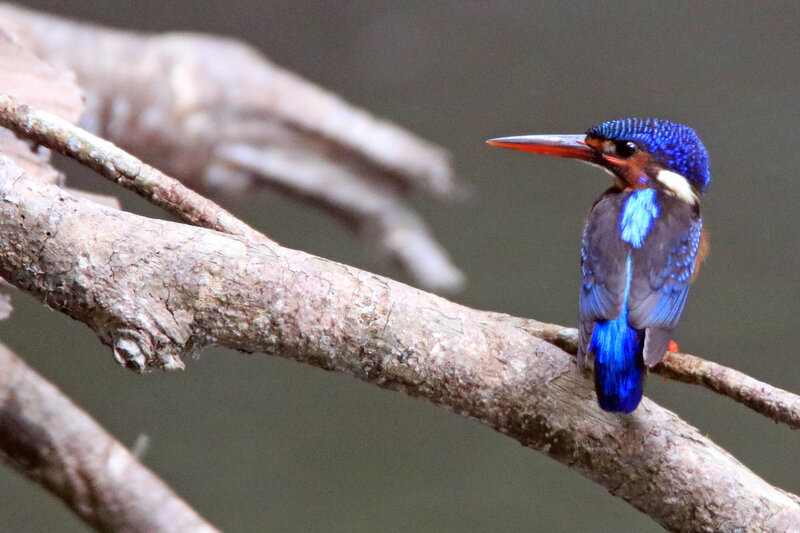 Good to see lots of nice images uploaded as usual. Can anyone ID this please? 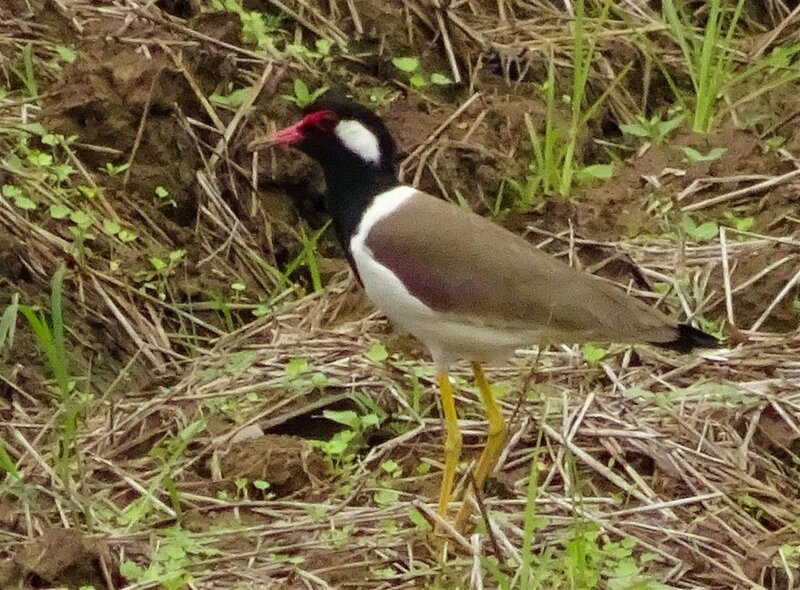 Taken in the middle of Khao Yai. 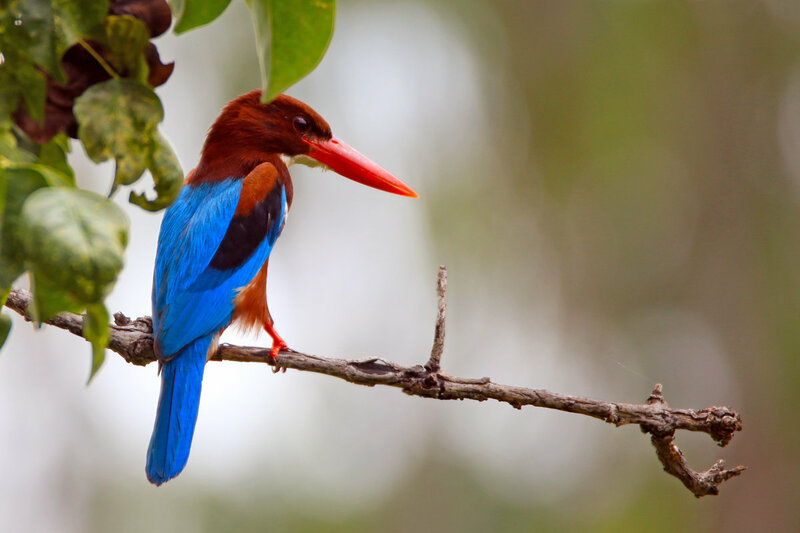 It is one of the trogons. I haven't got my guide to hand at the moment. 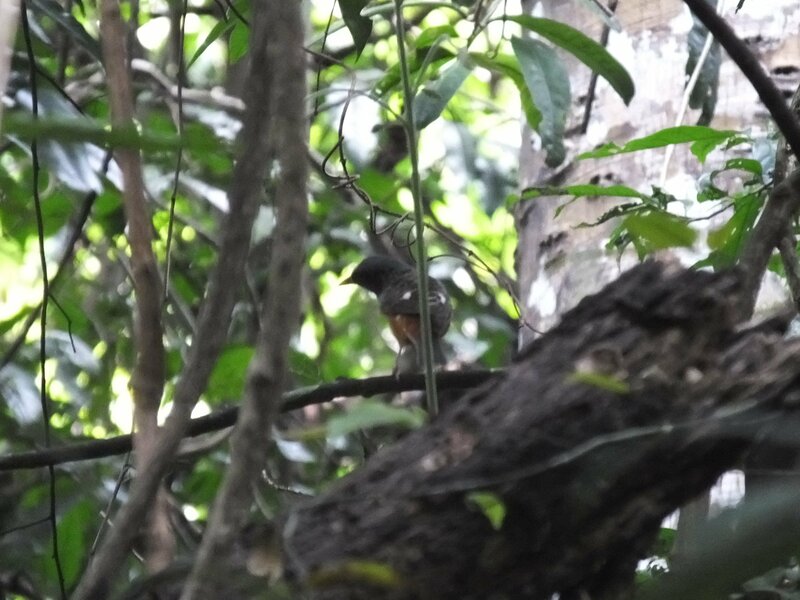 Looks like the red-headed trogon but I will wait for the experts. 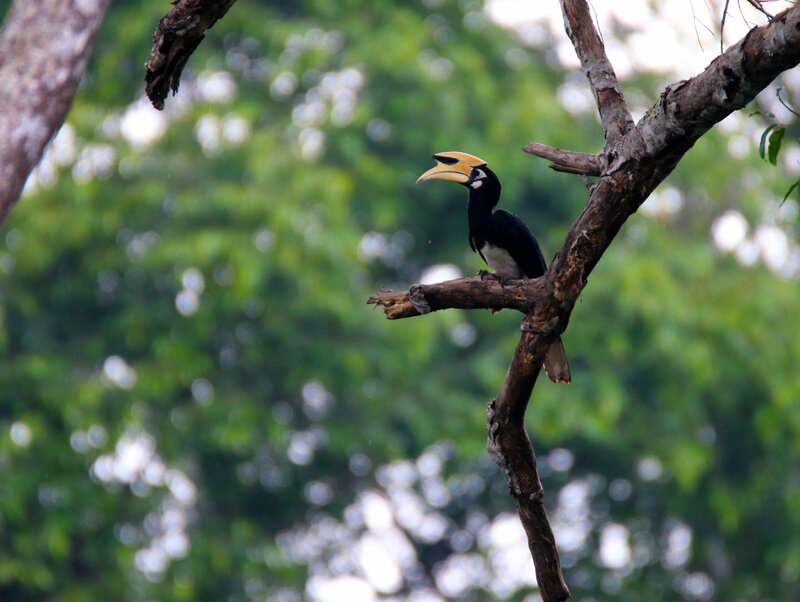 The nearest I have seen it to Khao Yai is Nam Nao NP in Phetchaboon. Briggsy nailed it. 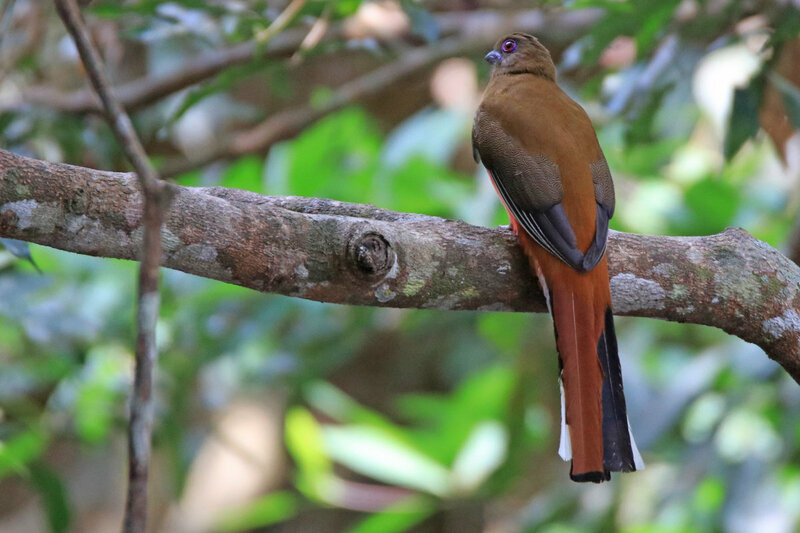 Red-headed Trogon...female (or possibly juvey). 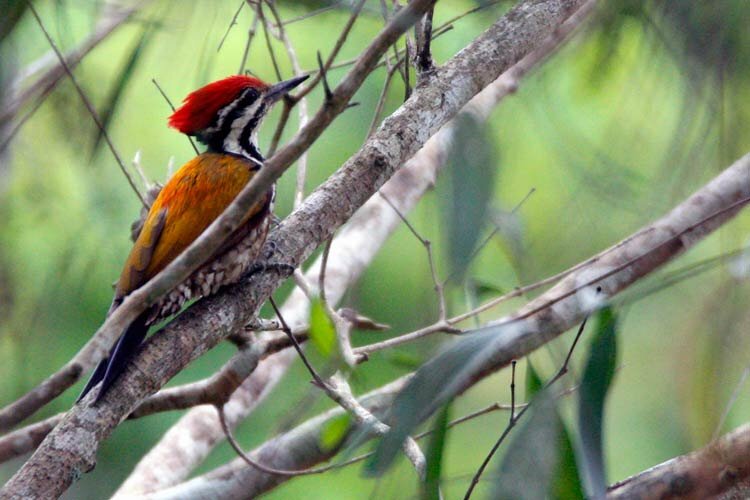 The adult male has the bright red head.